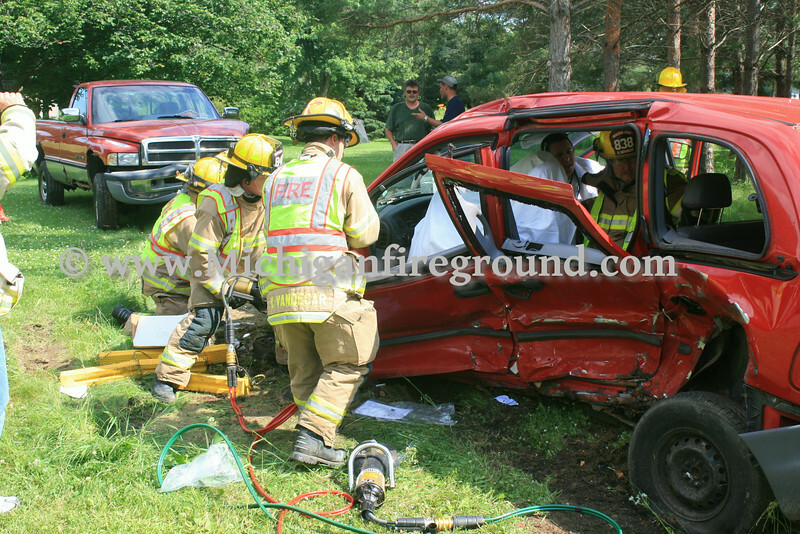 The Mason Fire Department and Eaton Area Ambulance Service were dispatched to a injury crash with a reported pin in at the intersection of Onondaga & Curtice on Thursday, June 26, 2014. When personnel arrived it was determined that one patient would require the removal of their door to safely extricate them from their vehicle. Lansing-Mason Ambulance also responded to this run and command requested a total of 3 ambulances to the scene. Patient extrication was completed in about 25 minutes. Media reports that one patient received critical injuries and three other patients were treated for minor injuries.